3rd Annual US Pain Summit- Pain News - Pain.dieutridau.com - All for Pain Relief ! 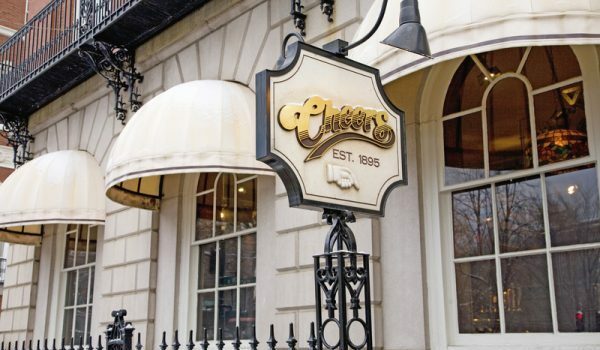 If you hadn’t already figured it out, that’s the theme song from the TV show Cheers. It immediately popped into my head when I received a text from my roomie at the US Pain Summit. It was the day after we had all returned home. She wrote, “I miss being around people who understand.” My response was, “So great to have a guilt-free weekend and have everyone watching out for each other. Perfect environment.” In the back of my mind, this song crept into my brain on repeat. It perfectly describes the weekend where 50 pain ambassadors gathered at the University of New England in Portland, Maine in early August to learn more about the many facets of the US Pain Foundation. In-person support groups through the Pain Connection program. Discussed the mission and position statements that US Pain has on certain topics. Got a crash course in sharing legislative bills needing support via social media. Talked about testifying before state Congressional committees or before the FDA. Received guidance on how to craft our own stories and elevator speeches. Learned about how we can help the Beautify in Blue campaign for September’s pain awareness month. Prepped for KNOWvember campaign, which will educate on rare disease. Learned how to track bills on the state and federal levels. Discovered inventive ways to fundraise. Found out about the new program called People with Pain Matter. Talked about the Invisible Project. I discovered that I want to get involved in legislative matters and testifying as well as contributing in some way to the Beautify in Blue campaign in Sept. I left the summit with so many ideas and a new fervor to jump into the many aspects of the Pain Ambassador program. Just as important as learning about the US Pain Foundation’s goals and programs, was the personal connections we made and the safe, loving environment that was created during the 3 days we spent together. Making your way in the world today, Takes everything you’ve got- most of the attendees struggle on a daily basis just to cope each day with debilitating pain. It takes everything we’ve got to get out of bed, to go to the grocery store, to respond to emails. We are constantly feeling guilty about letting others down, beating ourselves up that we didn’t check everything off our to-do lists and embarrassed that we have to cancel once again. The Summit took away all of those fears. The staff recognized our need to be comfortable. Blankets and extra pillows were provided in the lecture hall. They even dragged in some large comfy chairs and sofas so people could be relax and still be involved. Even though the Summit was held on a college campus, attendance was never taken. If you needed to walk around during a presentation, no one questioned you. If you snuck out to take a nap, everyone understood. If you were missing for too long, your new support system would check in on you to see if you needed food, not to tell you to get to class. There was never a need to apologize, we all “get it.” And we weren’t shy in asking for help. For a few days we didn’t feel like a burden to anyone. No one made us feel guilty. We were “taking a break from all our worries,” as the song goes. That doesn’t mean our pain was gone during the Summit, it just means we were surrounded by an amazing support group with bonds that will last a lifetime. “Just start singing the alphabet.” –Christa Whightsel on her list of comorbidities. “Just say thank you.” –Juliana Capshew’s response when someone says she doesn’t look sick. The 3rd annual US Pain Summit was an absolutely amazing event. I’m excited to contribute to the chronic pain world. If you are interested in becoming a Pain Ambassador, again please go to www.uspainfoundation.org to learn about all the different ways to get involved.